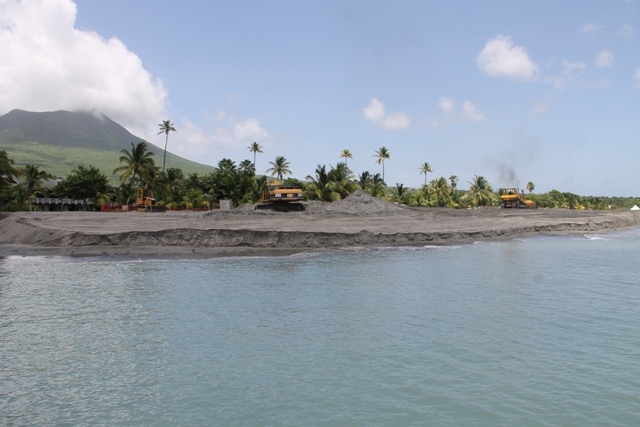 NIA CHARLESTOWN NEVIS (November 05, 2017) — The Nevis Island Administration (NIA) is optimistic that renovation work on the island’s flagship hotel the Four Seasons Resort (FSR), Nevis, will not disrupt employment prospects for the island’s people. The revelation came from Hon. 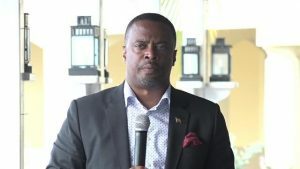 Mark Brantley, Deputy Premier for Nevis and Minister responsible for Tourism while updating stakeholders on the projections for 2017/2018 tourism season, at a meeting hosted by the Nevis Division of the St. Kitts and Nevis Chamber of Industry and Commerce at the Yachtsman Grill on November 30, 2017. “We as a government were quite concerned about any closure because of course closure would bring with it difficulties in term of employment. “I can say that this was one of the main issues in our negotiations, in our discussions with the purchasers and new owners and they have given every assurance that there will be no closure… they are saying to us…they are working out that schedule and we are optimistic that it can happen with no disruption to the employment prospects of our people,” he said. Mr. Brantley, said according to the information from the hotel, renovations have already began with the protective work including beach replenishment and refurbishment, the construction and extension of the pier with a “T” added at the end, low protective walls to mitigate against flooding and the hotel’s sewerage system has been revamped. They have also added a new entertainment and dining area. However, Mr. Brantley noted that based on information received, the room upgrades will not commence till in April of 2018. “I am told that the upgrade of the rooms and I don’t know how many of you might have visited, they actually have a model room already completed but the upgrade of the rooms will be done in sections starting round about April next year. “The reason for that is I am told is they have pretty strong bookings up until then and that will be the first period of time when the bookings slack off so they could then do the hotel in various sections,” he said. Renovation works at the hotel comes on the heels of its recent change in ownership.